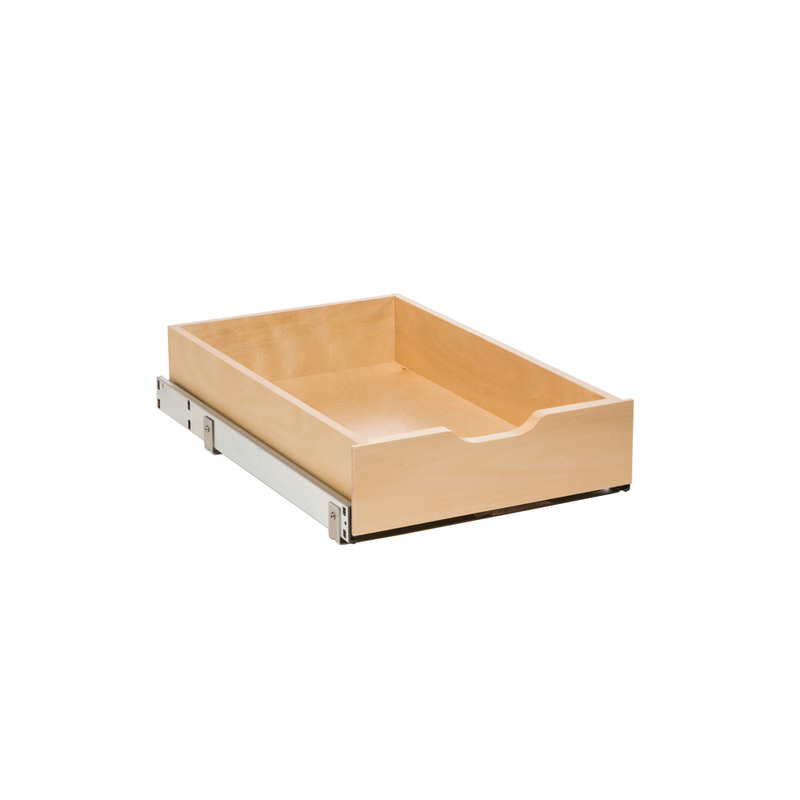 Manage your clutter with our solid wood drawer that beautifully complements any cabinet. Installs simply in just minutes; opens smoothly, closes softly. 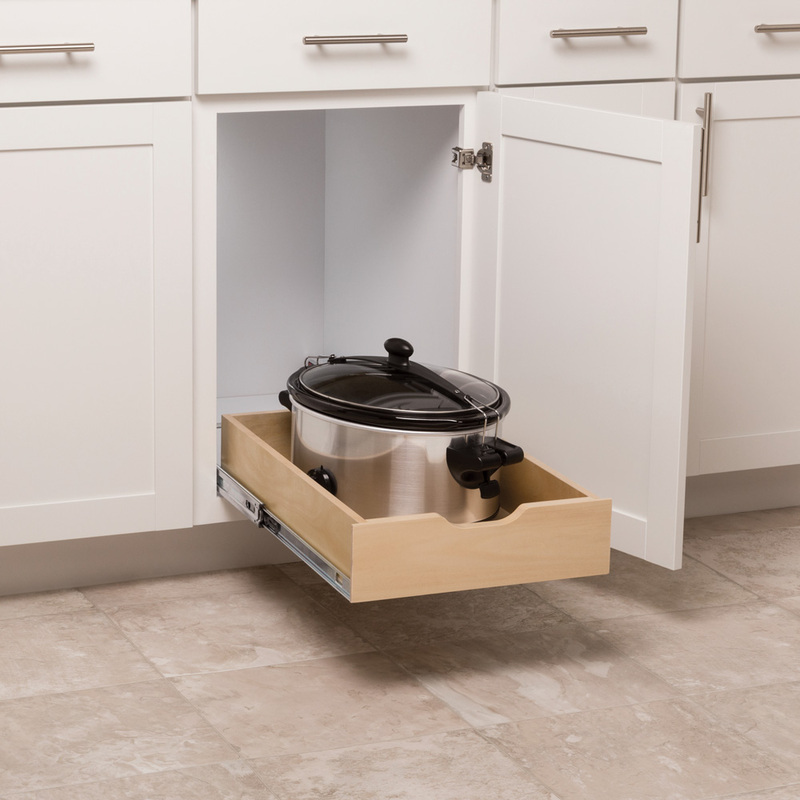 Cabinet drawer pulls out completely for full access to container storage, nonperishables, more.